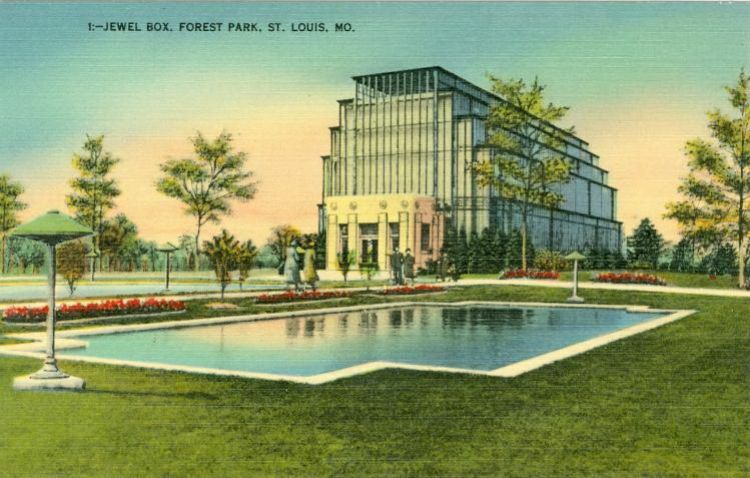 The Jewel Box opened on November 14, 1936, and was designed by City Engineer, William Becker. Its cantilevered vertical glass walls rise 50 feet high. The Jewel Box has special flower shows at Christmas, early spring, Easter, Mother's Day, a summer show, and the chrysanthemum show in the fall. It has tropical trees, foliage plants, flowers, a new water feature and fountain year round.